The map marks the position of reported chemical weapons attacks in the Iraqi Civil War. Yellow markers indicate chlorine attacks. Red indicate a more deadly chemical weapon agent. Use of chemical weapons in the Iraqi Civil War by ISIL has been confirmed by the OPCW and US defense officials. 21 or 22 June 2015 Mosul Dam Nineveh Kurdish forces A 120-mm mortar shell fired at Peshmerga positions fail to explode. 11 August 2015 Makhmur Nineveh Tuesday night Kurdish forces Around 60 affected, 4 seriously. Peshmerga Mustard gas According to Peshmerga officials, around 45 120-mm mortar shells were launched on Peshmerga positions. Confirmed by US defense officials. 11 August 2015 Makhmur Nineveh Tuesday afternoon Kurdish forces Peshmerga Chlorine Katyusha rockets were launched on Peshmerga positions. 12 August 2015 Sultan Abdullah Nineveh Wednesday night Kurdish forces Peshmerga Possibly Mustard gas 45 shells were launched on Peshmerga positions. 11 February 2016 Sinjar Nineveh Thursday, between 1500–1600 200 meters behind the front line south of Sinjar. 36°15′40″N 41°49′20″E﻿ / ﻿36.26097487°N 41.82214949°E﻿ / 36.26097487; 41.82214949 Kurdish forces - 30 affected, 9 seriously. The 8th Peshmerga brigade Possibly Chlorine IS militants reportedly fired 30 81mm mortar shells believed to have been filled with chlorine, at Kurdish troops. 8 March 2016 Taza Khurmatu Kirkuk Late Tuesday and early Wednesday 9 March Kurdish forces 1 Some 400 were exposed, around 200 were injured, 16 seriously. Possibly Mustard gas 24 shells and rockets were fired into the village from IS positions in the nearby Bashir area. A two or three-year-old girl wounded in the attack died on Friday 11 March. 12 March 2016 Taza Khurmatu Kirkuk Early Saturday Kurdish forces Unclear. [N 2] Possibly Mustard gas According to Iraqi security and hospital officials, chemical rockets were fired into a residential part of Taza. After around 35 Kurdish soldiers were injured during fighting against Islamic State militants southwest of Erbil in August 2015, samples were taken by OPCW in an investigation directed by the Iraqi government. In February 2016, a source at the OPCW confirmed that the samples tested positive for mustard gas. ^ All times given are given in local time unless otherwise stated. ^ The two attacks in Taza, the one on 8-9 March and the one on 12 March, were reportedly wounding around 600. 670 according to a statement made by the Iraqi Turkmen Front. ^ a b "Exclusive: Samples confirm Islamic State used mustard gas in Iraq - diplomat". Reuters. 15 February 2016. 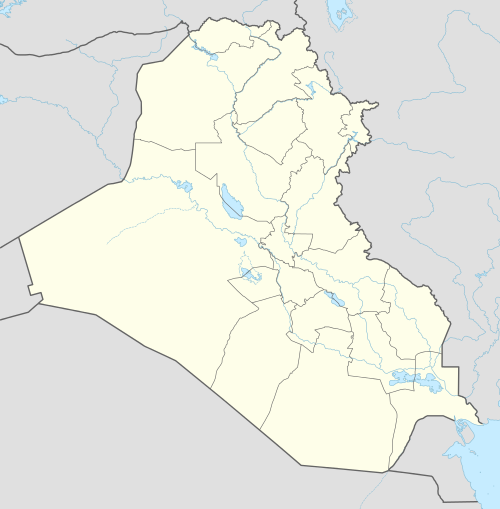 ^ a b "Terrorists tied to ISIS launch chemical-laced weapons on Iraqi town, officials say". CNN. 12 March 2016. ^ "Isis using chemical weapons against Kurds, say British investigators". Newsweek. 20 July 2015. ^ "War with Isis: US investigating chemical weapons attacks against Kurds in Iraq". The Independent. AP. 19 August 2015. ^ "US investigating whether Islamic State used chemical weapons". Ynetnews. AP, Reuters. 14 August 2015. ^ "Peshmerga: ISIS may have used chemical weapons in Makhmur". Rudaw. 12 August 2015. ^ "Early Tests Find Traces of Mustard Gas in ISIS Mortars". Arutz Sheva. 21 August 2015. ^ "US military ordering troops in Iraq to dust off chemical weapon suits". Fox News. 3 September 2015. ^ "Early Tests Find Traces of Mustard Gas in ISIS Mortars". Military.com. Fox News. 4 September 2015. ^ "Kurdish forces fighting Isis report being attacked with chemical weapons". The Guardian. AFP. 13 August 2015. ^ "U.S. Investigates Reports ISIS Used Chemical Weapons In Attack On Kurds". NPR. 14 August 2015. ^ "Islamic State Uses Chemical Weapons Against Peshmerga in Makhmour". BasNews. 13 August 2015. ^ "Kurdish forces say Islamic State group used chemical shells". AP. 18 February 2016. ^ "Kurdish forces say Islamic State group used chemical weapons". Global News. AP. 18 February 2016. ^ Dave Eubanks (12 February 2016). "FBR Report: ISIS Launches Chemical Attack in Sinjar Area". Free Burma Rangers. ^ a b "Islamic State Struck Town With Chemical Weapons, Iraq Says". The Wall Street Journal. 11 March 2016. ^ a b "Hundreds block key highway in Iraq, demand airstrikes in response to ISIS chemical attack". RT. 10 March 2016. ^ "US Holds Islamic State Agent Tied to Chemical Weapons". Voice of America. 9 March 2016. ^ "ISIS shelled Kurdish-controlled Iraq village with 'poisonous substances' – governor". RT. 9 March 2016. ^ "Iraqi girl dies after IS chemical attack". AFP. 11 March 2016. ^ "Turkman town harassed by ISIS mortar shells, some containing chemicals". Rudaw. 12 March 2016. ^ a b "Iraqi officials: ISIS chemical weapons attacks kill child, wound 600". CBS News. AP. 12 March 2016. ^ "Iraq: Injury toll in Daesh toxic gas attack rises to 670". News FultonCounty. 12 March 2016. ^ "IS chemical missiles kill 4 civilians and wounds 25 others near Mosul". Iraqi News. ^ "Mustard gas 'used in Iraq' in August". Yahoo! News. AFP. 15 February 2016. This page was last edited on 16 January 2019, at 17:46 (UTC).